Properties in North Cyprus offer the best value for money in the whole Mediterranean region. Prime residential property has been displaying an average growth of over 20% per annum for the past four years and is expected to grow strongly – always good news for existing and prospective investors. A three bedroom villa, with a private swimming pool, in a nice location close to Kyrenia, will cost you from as low as £120,000 – unbelievable value for money for a home in the sun! North Cyprus properties represent excellent value for money, capital growth potential and promising investment returns. Looking at property in North Cyprus as an income-generating asset, you should know that current rental income is between 7% and 10%. This percentage may be higher depending on location, quality of construction and the type of property. The North Cyprus property market gives you great opportunities to invest. Both capital and income returns are something that you will find fascinating in this fabulous island of the Mediterranean. Our purpose is to provide comprehensive information about the North Cyprus Real Estate market situation. We offer some of the best investment opportunities in North Cyprus and the properties that we are selling are located in the most attractive areas, where you can get the highest possible rental income return from your investment. 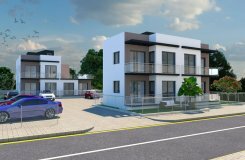 The aim of our Northern Cyprus Real Estate Company, and, respectively, our web site, is to provide our customers the best property portfolio, with excellent rental possibilities at the most affordable prices. With our experience and local knowledge in the local Real Estate market, we, at Royal Estates, can give you sound and practical advice on purchasing property in North Cyprus. We can advise you on the right kind of property to buy, whether it be for personal use or to let. We have several clients who buy from us, purely, for investment purposes, and we rent and manage their properties in North Cyprus. Recent press reports suggest that North Cyprus property prices will soar as talks continue to resolve the political situation – be it a reunification of the island or recognition of TRNC. Property prices in North Cyprus still stand at around half of those in the South, therefore the current boost in the market here has a long way to go before reaching similar prices. Prices are expected to continue rising at a healthy rate as the possibility of a solution approaches. International property experts warn that investors who wait too long to make a move may find they will be buying property at prices almost equivalent to those in the South. Regarding the best investment properties, we strongly recommend that our investors buy smaller apartments - one or two bedroom flats, which have very low maintenance costs and higher rental income comparing 3 bedroom apartments . THESE APARTMENTS MUST BE LOCATED CLOSE TO KYRENIA CITY CENTER, as there is a much higher rental demand for centrally situated apartments. At the moment, we are renting one bedroom flats for £350 Stg per month, and two bedrooms for £400 Stg per month! When you come to visit us, we can introduce you to an English speaking lawyer with vast experience in the property business, who will give you more detailed legal information regarding your options. In comparison to many other countries, the process of buying properties in North Cyprus is very simple. Properties in North Cyprus are favourable in price compared to its European and Mediterranean neighbours, and are, on average, 30% - 40% lower in price than Portugal, 40% - 50% lower than Spain, and 60% - 70% lower than Italy and France. Its sunny weather, high quality of life, low crime rate, friendly local people, low cost of living and generous tax incentives, attracts people to the island from all over the world.